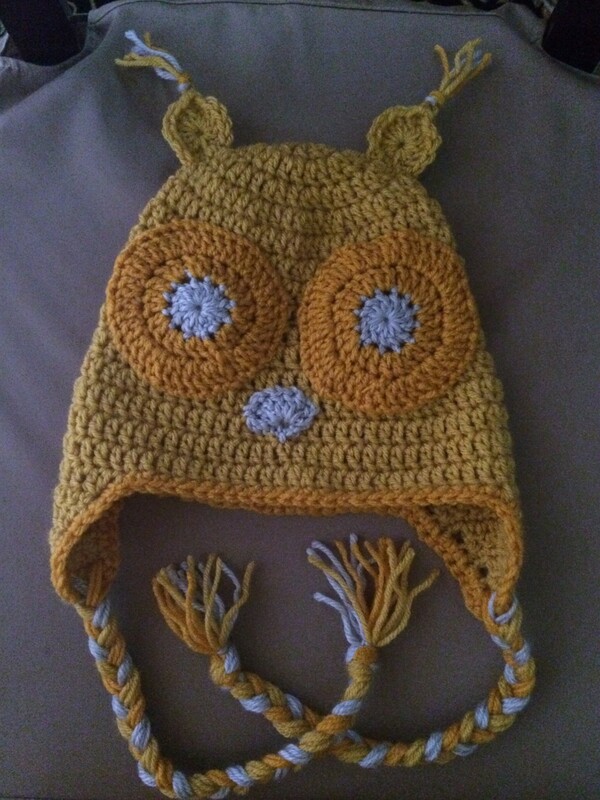 Haven’t been able to post anything new, busy making a lot of these! 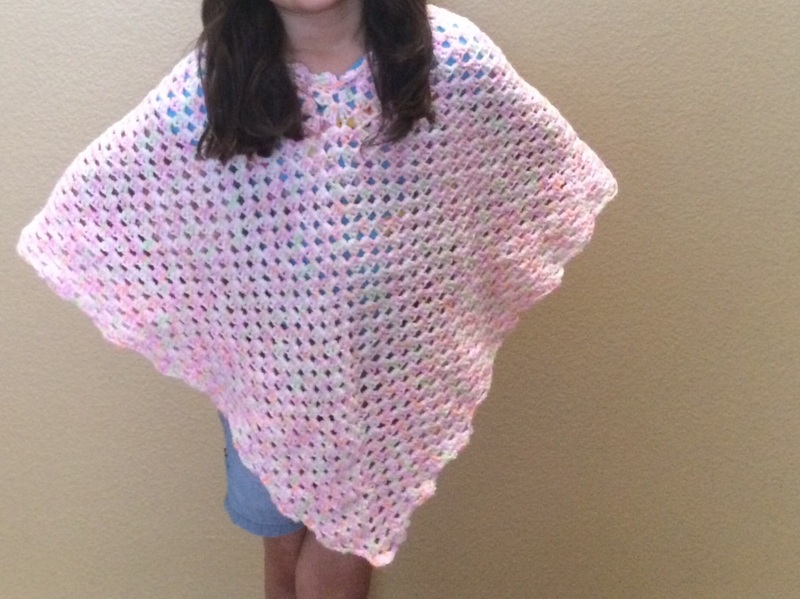 I will post the new afghan that I’m making for a special someone as soon as I’m done with these orders. 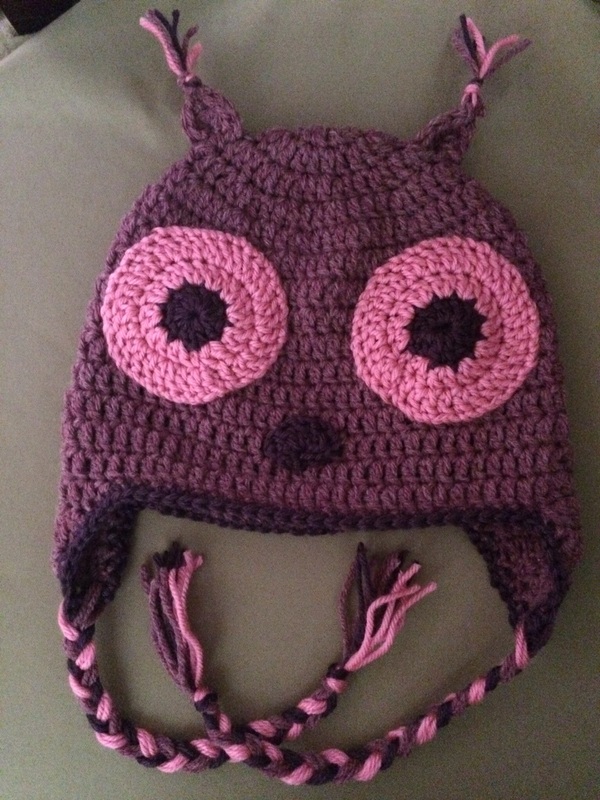 Made this cute owl hat for my daughters’ friend. First time making a sun hat but it kinda looks like a top hat 😛 I did like the color combo. I’m working on a purse at the moment for my mother-in-law, should be done with it in a few days. 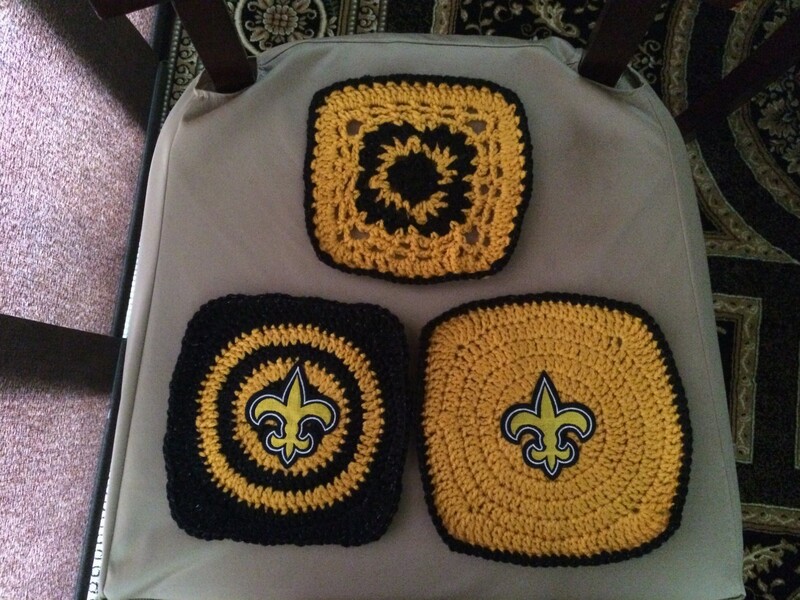 So I’ve given a gift to most of my immediate family but I didn’t really know what I should make for my sister-in-law, so I made her some pot holders since she likes to cook and she is also a big fan of the Saints. Geaux Saints!